Apple Pie is rated 3.0 out of 5 by 4. Rated 5 out of 5 by tailswhiskers from Very fun Match 3 game I really like this match 3 game. It was very relaxing to play. The object is to earn as much money as you can so you can decerate your resterant. My favorite is time management. I would recommend this game. Rated 3 out of 5 by Stareliza from Oh Dear ! Game was OK to start with, but got very tedious and boring.Same thing level after level.Onlytried the 60 mins free but deleted it after 45mins. Rated 2 out of 5 by BlondNBlu4 from This game gets old real fast. At first, I thought I was going to love this game. 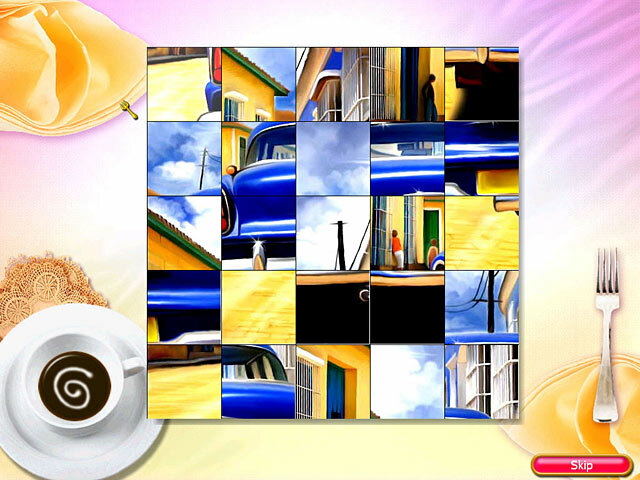 Then the timer started running too fast and makes it almost impossible to clear the board. Maybe if they actually gave you characters that matched up instead of making it impossible, it wouldn't be so frustrating. Rated 2 out of 5 by Snowfoxx from Bland Apple Pie There are many match 3 games out with restaurant themes, and this one is pretty much one of the more boring of the bunch. The graphics were a bit stretched at first, but it seems that this game was meant to be played in Windowed mode, because once I switched it out from full screen, it worked much faster and looked much better. 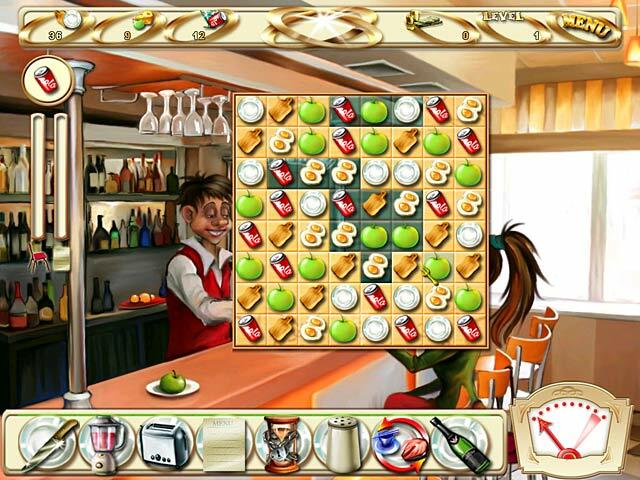 Apple Pie is not a cooking sim, but a match 3 restaurant management game in which you play a post-grad woman that gets a job from your rich crazy cat lady aunt who decides that you must run her new restaurant since the management staff there does not get along with her cat (eh?). So, apparently, the arrogant little furball needs to de-stress, and Auntie is going to take him on a European vacation. IN the time they are away, you have to run the business and redecorate the place with upgrades and furnish your chefs with new recipes. While the gameplay is simple straightforward match 3, and you do get tools to help you along, they are slow in coming. The cashflow is pretty quick, and it is easy to get your upgrades, but the constant interruption of your game with the awarding of insignificant trophies is irritating, and distracting from your gameplay. There are all sorts of restaurant style games out there, with many themes, but Apple Pie is about as blah and mediocre as it gets. 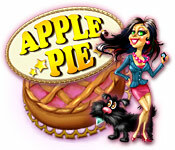 Look around at many a casual game site, and I'm sure you will find something far more exciting and tastier than Apple Pie. 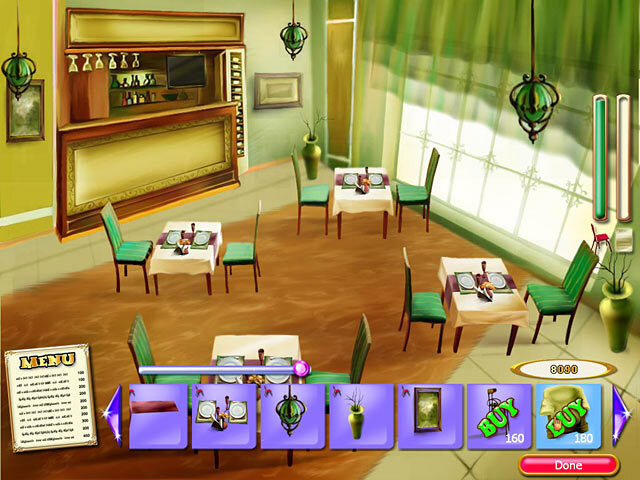 Manage a sweet, stylish American eatery with Match 3 and Time Management elements in this delectable dessert game.